Perhaps the adage gardening heals is no more evident than at Kansas City’s Cornerstones of Care Gillis and Ozanam gardens where day therapy and residential foster care kids tend two cultivated acres of vegetables, two orchards plus a large greenhouse built in partnership with Cultivate KC, Kansas City Community Gardens and Giving Grove orchards. The Gillis and Ozanam campuses are healing places for children who have experienced trauma, providing education and residential care. Children in residential care are often in state custody and Cornerstones of Care staff work hard to identify good foster and adoption opportunities for the kids. The gardening programs’ impacts are immeasurable. The farm projects are designed to empower the kids, help them develop good decision-making and leadership skills as well as vocational skills. Vegetables and fruit harvested go directly to supplement the cafeteria offerings at the dorms. “And the kids really want to have something to give any family or visitors they have,” Bunch said. “Probably more than 95 percent of our families live below the poverty line. The produce is appreciated. Early on, we did have a booth at a farmers’ market and sold some produce. But there wasn’t enough for the market and for kids, especially those in the day program, who wanted to send some produce home. The market stand was good business. 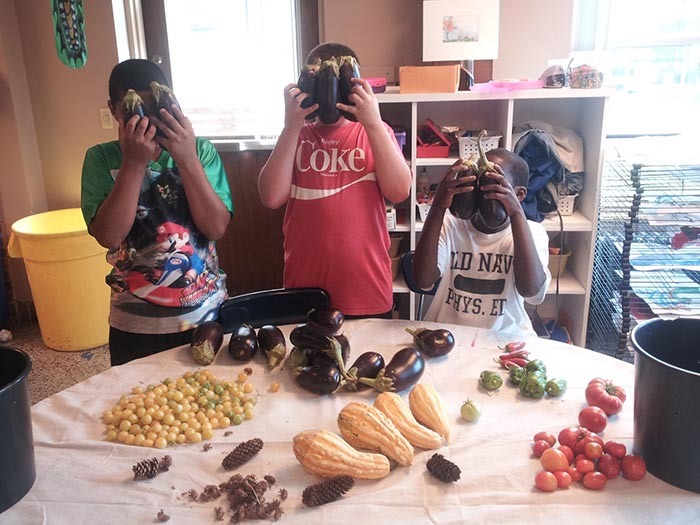 But the kids voted and they all decided they would rather keep all the fruits and vegetables they raise here in our community to benefit all the kids. “The kids build everything – the gardens, the wash station, everything except concrete foundations but even then, contractors work with the kids close at hand to learn about that skill,” Bunch added. “They have learned skills to work in any of the building trades, culinary jobs, myriad horticulture skills. Their work at the farms may not become a career, but it’s a way they can build; that they can contribute with purpose. As many as about 130 kids from both campuses work in the farm/garden programs. “Working together out on our farms, we see struggling kids knitting together,” Bunch said. And Cornerstones of Care is collaborating with others who share their values to create more opportunities for Cornerstones’ kids to lend energy, skills and expertise they have learned to support gardening initiatives with Farm Fresh HQ, After the Harvest, Nourish KC, Boys Grow, Cultivate KC, Niles Valley Aquaponics and the Food Security Warehouse. 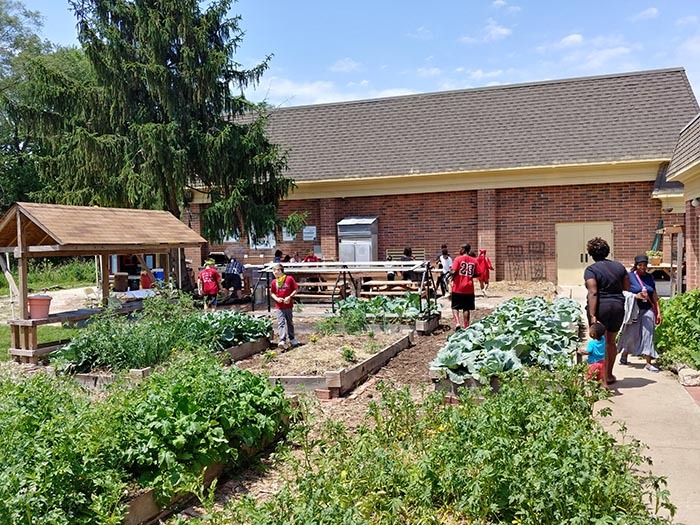 The farm/garden projects have long-term, positive impacts paying dividends for the Gillis and Ozanam kids in the programs. “More and more of the kids we work with are aging out,” Bunch said. “We want to ensure they have some skill-based training that is critical for them to make it when they leave. The farms are a vehicle for the kids to learn to sustain themselves. We try to give them capabilities to get jobs in horticulture, building trades, culinary arts, landscaping where they can earn a living wage even if they don’t have a high school diploma or other formal training. “It has been maybe six years since the Gillis Campus Farm started,” Bunch said. “I have a letter from one young man who benefitted from the program who is now in Oregon. He has reconnected with his birth father, graduated high school and has a good landscaping job. Previous StoryOur Fall School Gardens Are in Full Swing!